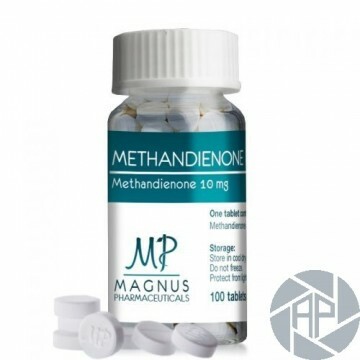 Methandrostenolone is a derivative of testosterone, modified so that the hormone's androgenic (masculinizing) properties are reduced and its anabolic (tissue building) properties preserved. 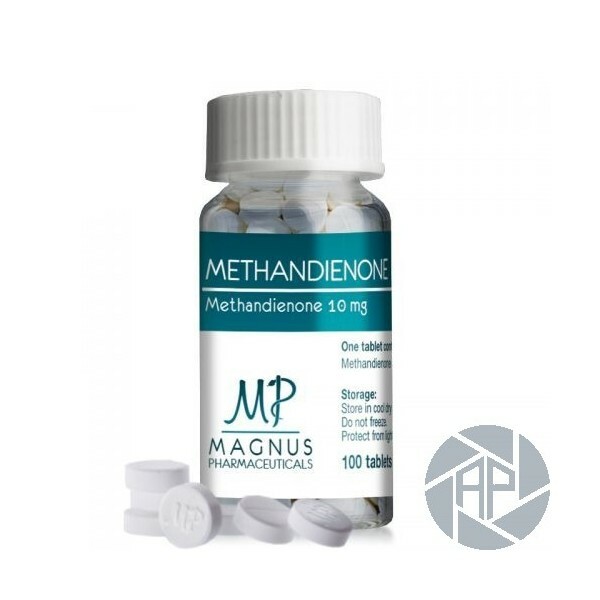 Having a lower level of relative androgenicity than testosterone, methandrostenolone is classified as an "anabolic" steroid, although quite a distinct androgenic side is still present. This drug was designed, and is principally sold, as an oral medication, although it can also be found in a number of injectable veterinary solutions. Dianabol is today, and has historically been, the most commonly used oral anabolic/androgenic steroid for performance-enhancing purposes. Methandrostenolone is aromatized by the body, and is a moderately estrogenic steroid. Gynecomastia is often a concern during treatment, and may present itself quite early into a cycle (particularly when higher doses are used). At the same time water retention can become a problem, causing a notable loss of muscle definition as both subcutaneous water retention and fat levels build. Although classified as an anabolic steroid,androgenic side effects are still common with this substance. This may include bouts of oily skin, acne, and body/facial hair growth. Anabolic/androgenic steroids may also aggravate male pattern hair loss. C17alpha alkylated anabolic/androgenic steroids can be hepatotoxic. Prolonged or high exposure may result in liver damage. Studies have shown that taking an oral anabolic steroid with food may decrease its bioavailability. This is caused by the fat-soluble nature of steroid hormones, which can allow some of the drug to dissolve with undigested dietary fat, reducing its absorption from the gastrointestinal tract. For maximum utilization, oral forms of stanozolol should be taken on an empty stomach. For physique or performance-enhancing purposes, the drug is also used intermittently, with cycles usually lasting between 6 and 8 weeks in length followed by 6-8 weeks off. Although a low dose of 5 mg daily may be effective for improving performance, athletes typically take much higher amounts. A daily dosage of 15-30 mg is most common, and typically produces very dramatic results.